It’s been quite a year for oil. The commodity’s prices have seen a nice rally amid decreasing non-OPEC production and on-going production outages. Both WTI Crude and Brent Crude prices are currently hovering around $48-49 per barrel — well above their lows below $30 per barrel earlier this year. Notably, in a recent report to clients, a Morgan Stanley team lead by Adam Longson wrote that they think oil supply will ramp back up. “Oversupply is likely to return as outages resolve, and prices could fall back into a $30-50 oversupply pricing regime,” the team wrote. 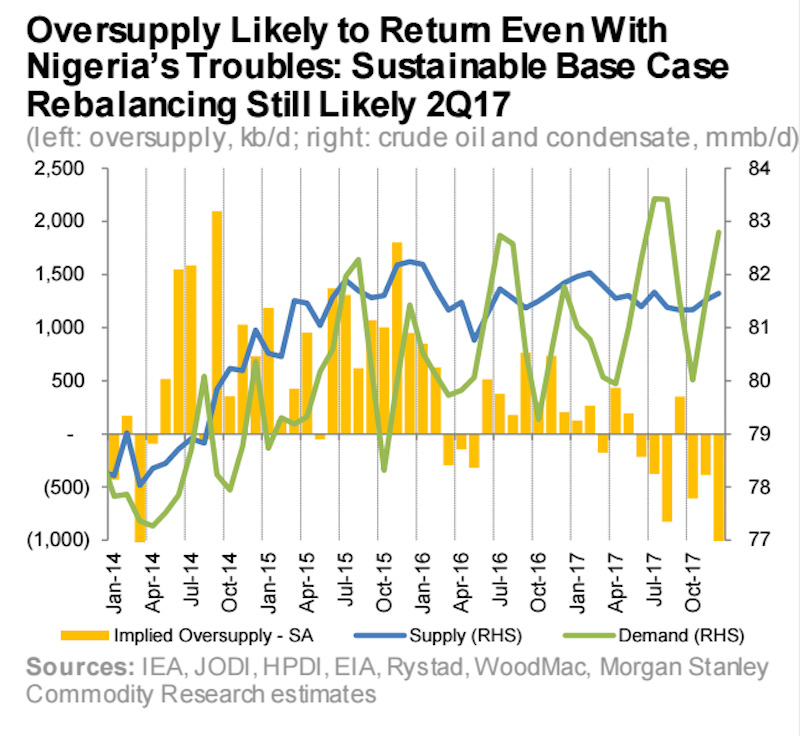 “Returning Canada production alone should be enough to put the market back into oversupply, even if Nigeria remains near current levels,” they argued. However, the team did concede that there are plenty of wild cards that could upset this forecast. 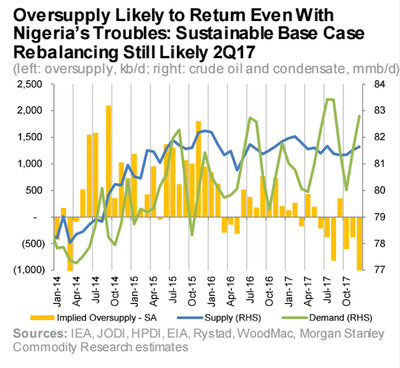 For example, Nigeria’s outages could continue for some time, and, although it’s probably not going to lead to huge disruptions, what happens with Venezuelan barrels is still up in the air. In short, supply could bounce back. Maybe.